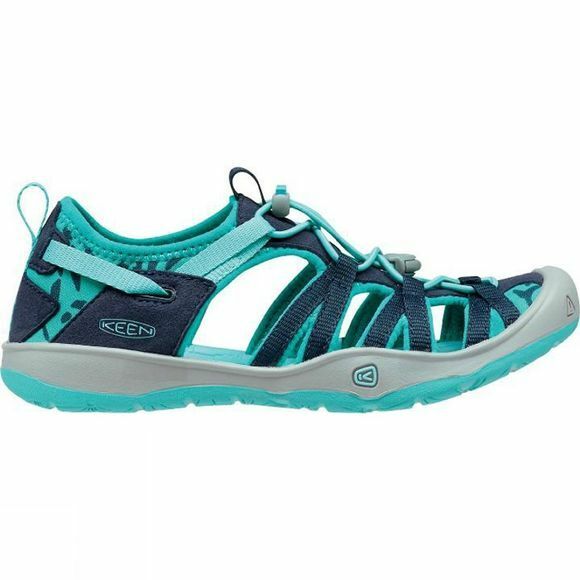 The Youths Moxie Sandal is a stylish, supportive and protective sandal that is ideal for young explorers who are in and out of the water throughout the day. The heel pull tab and secure fit lacing is ideal for getting them on easily and securing their foot to the sole unit while the cushioned footbed and covered toe offers excellent comfort as well as protection from those inevitable scuffs and scrapes. KEEN is a values-led, independently owned outdoor footwear brand from Portland, Oregon with a mission to responsibly create original and versatile products, improve lives, and inspire outside adventure. 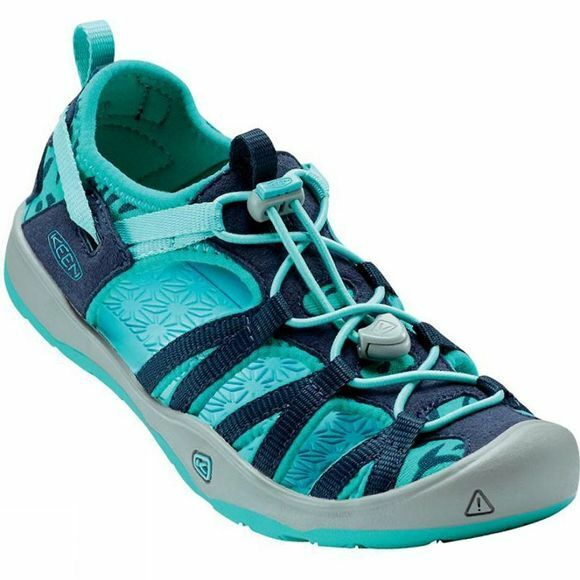 Founded in 2003, KEEN ignited a revolution in the footwear industry with the introduction of the Newport® sandal, launching the concept of Hybrid footwear into the market and setting KEEN on a path of driving consistent product innovation that exists today. KEEN strives to live by its values, from its products to its actions, and by activating communities and individuals to protect and preserve the places where we work and play. KEEN employees passionately endeavour to live fulfilling lives, challenge the status quo, do good, give back, and inspire others.